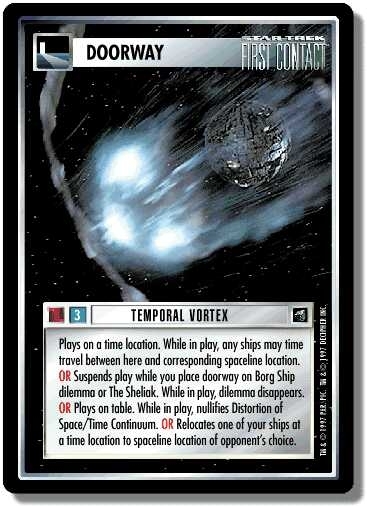 Characteristics: time location related cards. Errata'd on 2017-04-03: Ref icon not needed due to other errata; removing it leaves space for other time travel cards. If a mission that corresponds to a time location in play is destroyed by a Supernova, the location remains the “corresponding spaceline location” for time travel using this doorway. 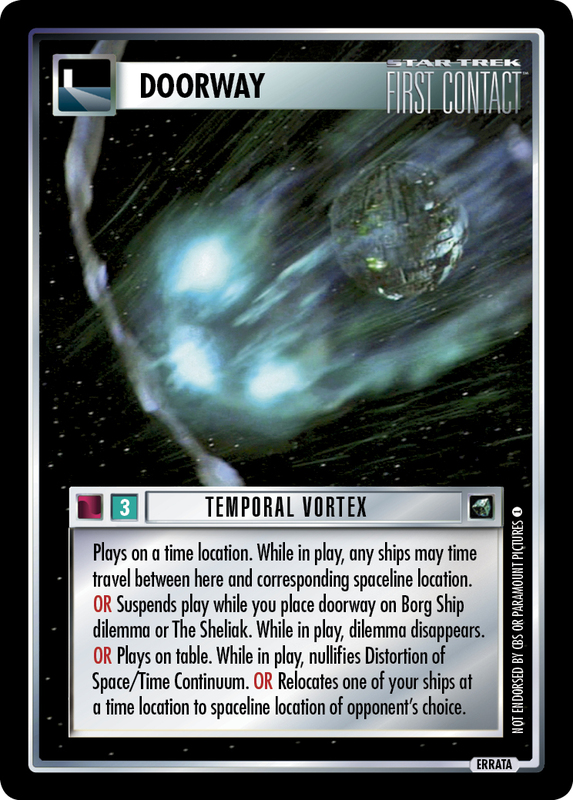 There are 25 entries for Temporal Vortex (ST1E 4 U 21) at the Tradeplace (61 haves and 3 wants). Click here to see all trade list entries for this Uncommon card!